For many years, website owners have enjoyed the ease of use of WordPress’s editing tools. The classic WYSIWYG editor made it easy for anyone who had previously used Microsoft Word or other word-processing programs to easily create and update content in WordPress because it was so familiar. However, over time other platforms have made the editing experience more dynamic and flexible with the ability to drag-and-drop content and more easily embed formats like video or social media feeds. WordPress has been working on improvements to how users edit and create content and they are rolling out the launch of this new editor this month. Gutenberg uses a block-based system for adding, editing, and manipulating content. This means users will be able to add rich content directly in the WordPress editor. Each section or “block” can be moved around, added and removed with ease. Since everything will be a block, users will only need to learn and understand the blocks, rather than an amalgamation of what currently may make up a page such as; headings, short codes, custom HTML, and other embedded content. These changes to WordPress are some of the biggest changes that have been rolled out. Because of that, there have been some opportunities to test the Gutenberg Editor in advance of the WordPress 5.0 update that will make Gutenberg the new default editor. Currently there is a plugin that can be activated on any current WordPress site to test the new Gutenberg Editor. You may already be seeing alerts within your WordPress dashboard that a Gutenberg Plugin is available. We have been testing it out on our own websites to get a chance to review any changes to the dashboard and editing tools and to see whether Gutenberg causes any problems. Once WordPress 5.0 is released, tentatively November 27th, 2018, Gutenberg will be the default editor in WordPress. But, you will have the ability to maintain your classic editor by using a plugin. Got that? Right now the default editor is the Classic editor, but you can install a plugin to test out the Gutenberg editor. Once you upgrade to WordPress 5.0, Gutenberg will be the default editor, but you can install a plugin to maintain the Classic editor. We did some initial tests using the Gutenberg pre-release plugin, and found that Gutenberg will convert your existing content into “classic” blocks. Basically, all your content is grouped together into one block. From there, you can choose to update the single “classic” block, and it will be broken apart into multiple Gutenberg blocks. However, it seems like reverting back to the classic editor once you’ve made the switch to Gutenberg is more difficult. You will get an alert that formatting is being removed. Yes, but you need a plan! We always recommend keeping your WordPress core software and all plugins and themes updated. There are security risks when you delay installing updates. WordPress 5.0 is expected to release this month, so you will want to upgrade soon. Here are some details of what to watch for and tips to help smooth the transition. What about my existing WordPress website? The biggest concern for existing sites is compatibility with the components of your WordPress site, such as plugins and ACF (Advanced Custom Fields). For many of the custom WordPress sites we’ve built, ACF has been how we have added more dynamic content. In theory, Gutenberg is an editor so it should not break your website, but plugins and themes may be affected. Your best option may be to install the classic editor plugin. If you want to stay with what you are comfortable with or can’t invest resources into any updates that would be necessary to add Gutenberg compatibility, this will be your best option. This will restore the previous WordPress editor that you are familiar with. We don’t know how long WordPress will support the Classic editor, but this is likely to buy you a lot of time. Another option is installing the Gutenberg Ramp plugin which allows users to enable Gutenberg selectively, for example, just on posts. There are steps you can take now, before the roll out of WordPress 5.0 to prepare for upgrade. 1. Create a backup of your site. This is a big update so make sure you have a working backup of your site. This can be done with your hosting account or with a plugin such as UpdraftPlus. 3. Once WordPress 5.0 is available, you will go ahead and update. If you have a staging, or development environment this would be the ideal location to activate Gutenberg first so you can test it and make sure there are no issues. If you have a maintenance plan with Visible Logic we will be installing and activating the classic editor plugin ahead of time. If you need help with the upcoming new release of Gutenberg please reach out, we’d be happy to help you make sure your site is ready. Going forward, we will be developing with Gutenberg in mind. Rather than relying on Advanced Custom Fields, we look forward to taking advantage of the flexibility and power of blocks. For our ongoing clients who are making significant design changes, we will work with them on a case by case basis to determine how and when we will transition to Gutenberg compatibility. 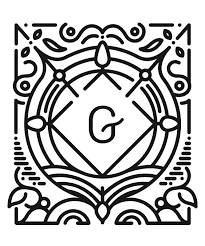 For new websites, we will begin developing with Gutenberg in mind.